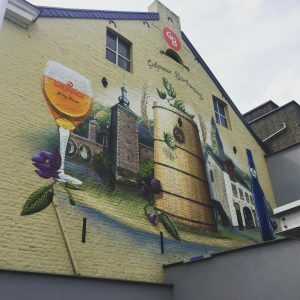 After writing about the city and bookstores in Maastricht, I thought I would continue the series with a post about our visit to the Gulpener brewery in Gulpen. 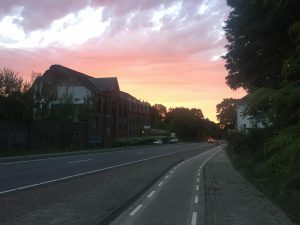 My friends and I rented some bikes and cycled the 15 km to Gulpen where the brewery is located. On the way, we passed by the Netherlands American Cemetery and Memorial. 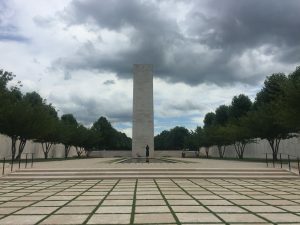 It was a perfect halfway point, so I included some pictures of the memorial as well. 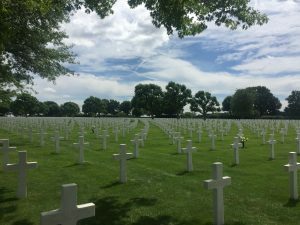 10 km east of Maastricht, in the small village of Margraten, is a memorial and cemetery for the American soldiers who died in WWII in the area. The memorial itself can be seen in the image above and the cemetery below. Overall it was very impressive and worth a visit. After a quick lunch on a random field road, we continued our journey towards Gulpen and its brewery. We arrived a little early, which meant it was time for some beer. After a beer (or two) we started the tour. There was an interesting introductory talk and then a tour through the factory. 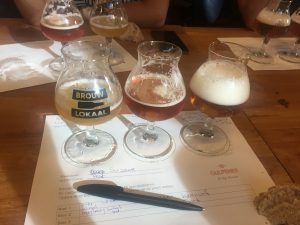 At the end of the tour, it was time to taste some beers. 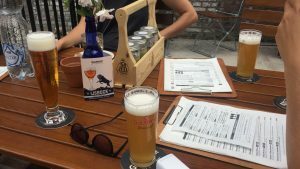 We were not very good, but the beer was nice! Afterwards, we decided to stay and have a bite to eat as well. Overall the beer was great, the tour was interesting and the food was delicious. So, highly recommend visiting! After all this beer, we visited the gift shop and then it was time to head home. Limburg has a lot of hills, and the route to Gulpen was no exception. Thankfully, there was only one high hill to climb at the start of our return journey and then it was all downhill. We had a lovely sunset on our journey and it was lovely. I would highly recommend visiting Gulpener as a day trip.